And well, yes and no. Going out for fancy brunch meals almost everyday? Yes. That will add up in most places. But! I’ve actually found plenty to do in Melbourne without breaking the bank. My favorite things I’ve done here were actually completely free! 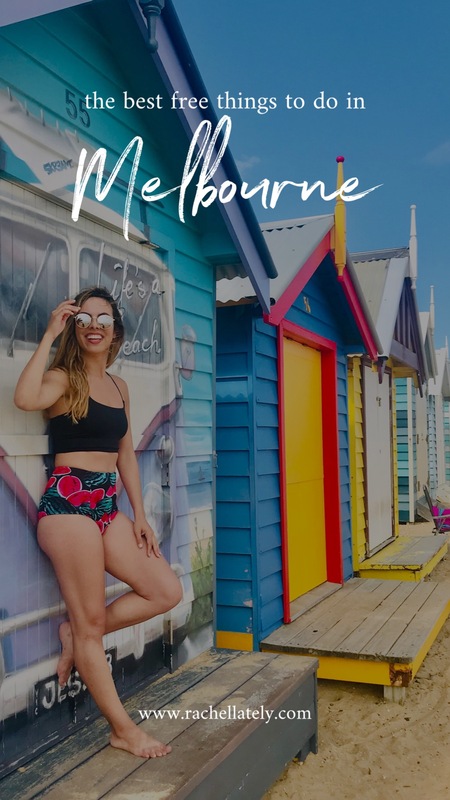 I want to share with you the best sights and things to do in Melbourne during your visit that won’t cost you anything. The beauty of public art: it’s free!! Conveniently located right across from Federation Square, Hosier Lane is one of those items you’ll see on every “must do” lists in Melbourne, and it genuinely is really cool! The art is always changing, so what you’ll see in photos (even mine) are not what you will see in person when you go yourself. Street art isn’t just solely on Hosier Lane though. There are lots more nearby! Check out ACDC Lane, Caledonian Lane, Cocker Alley, and Union Lane for even more local Melbourne art. Try to get there as early as you can; it gets super busy with plenty of selfie takers! This was actually fun for me, but maybe that’s because I love a good photo op. Apparently plenty of others do too, because there were so many people here taking pics! Nothing too crazy though. After you get your fill of photos (there are so many boxes all painted in array of different colors, it’s hard to take just one! ), you can chill on the beach and enjoy the sunshine. I recommend doing this tour on one of your first full days in the city. The tour lasts about 2.5/3 hours and takes you all over the downtown area to help you really get a feel for the layout of the city (which can be great when you first get here; I was a bit shocked at just how big Melbourne was). Plus you learn a lot about this awesome place you’re about to spend so much time in! 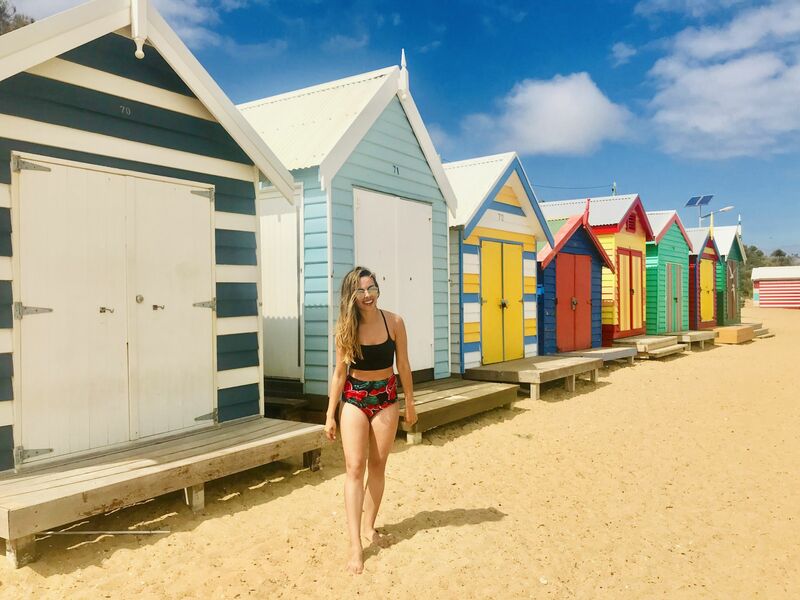 For those who don’t know, St. Kilda is Melbourne’s seaside playground a bit south of the city center. At the end of a long day, head on down to St. Kilda where you’re sure to catch a killer sunset (since the beach front is facing west)! The actual water is a bit chilly, but that doesn’t stop some people from getting in anyway. Also, if you walk down the St. Kilda pier, you can see penguins on the breakwater below! You’re the most likely to see them about half an hour after the sun sets. Before I got to Melbourne, I had heard about the plentiful coffee shops, shopping, and delicious food, but no one ever told me that the city is a mecca for live music! My favorite spot to see a show (weekday or weekend nights) was in the Fitzroy area on Brunswick street where all the hipster bars are because the shows were more casual as opposed to a club or upscale rooftop downtown. But they have shows everywhere of literally ALL music genres! Head to this site to find out what’s playing locally in Melbourne during your stay. This is the perfect place to relax after a day of exploring the city. The Royal Botanic Gardens spreads across 86 acres filled with flowers and greenery from all across the country (and the world). There are small statues and monuments within the grounds as well; you can spend a good amount of time wandering through the gardens and trying to find them all! There are also free guided walks and audio tours available at the visitors center. 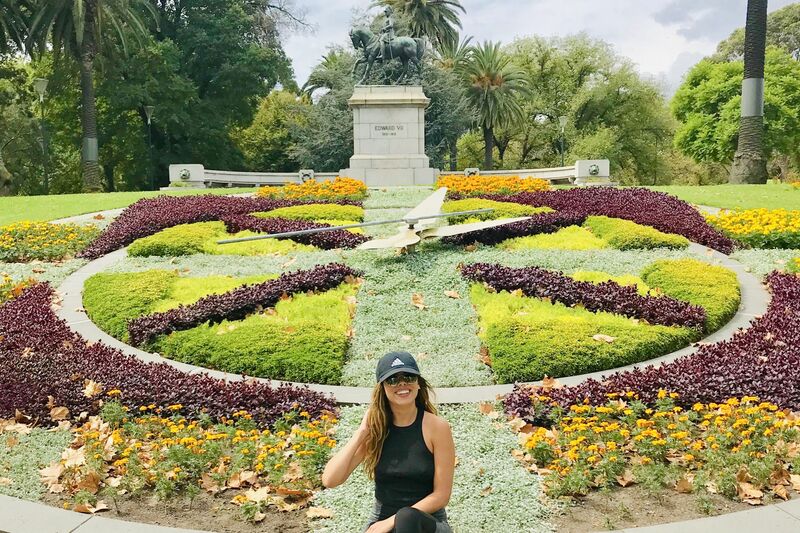 A war memorial placed just south of the Yarra River & walking distance away from the Botanical Gardens, The Shrine of Remembrance is a must-see landmark during your visit to Melbourne. Once you climb the stairs to the top, you are welcomed with the most stunning view of the city right behind you which made the perfect place to sit, pay your respects, and take a moment for reflection. Free public transport, what a world!! I love Melbourne. Yes, there is a tram route that circles around the downtown area (conveniently called the “free tram zone”) that you can hop on/hop off as you please. I suggest taking a seat and simply go on a ride around the city; you’re sure to see plenty of things you’ll want to come back to later. The hustle and bustle of a big city with lots of people can get tiring, right? I always seek nature and parks in cities, personally (which is why I loved Tokyo so much). They give me time to take a moment, relax, and escape the crowds. 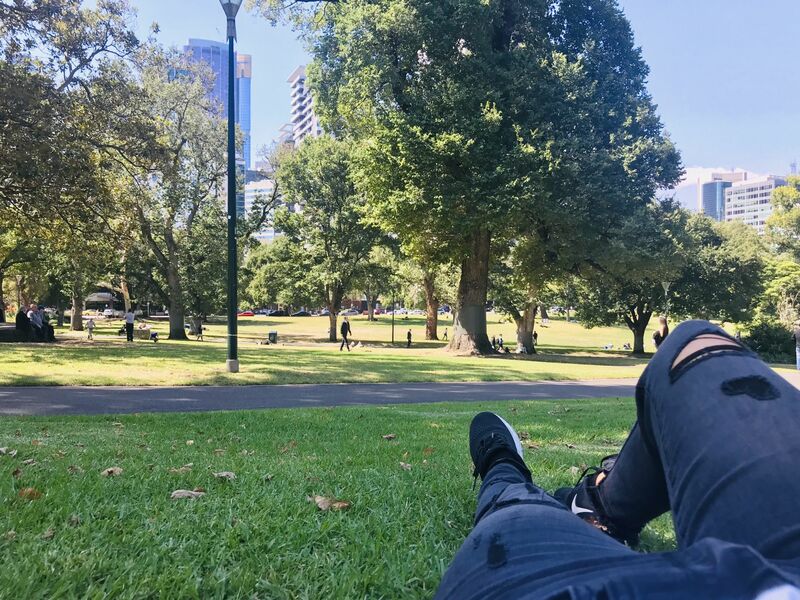 I went to both Flagstaff Gardens and Carlton Gardens to lay in the sun and just people watch while enjoying a snack. They are both nice spots; Carlton is closer to a museum/IMAX theater and walking distance from Brunswick street (where all the hipster bars and shops are that I mentioned earlier), and Flagstaff is next to the popular Queen Victoria Market. If you find yourself spending all your money on activities, you’re not looking hard enough! There is a plethora of free (or very cheap) things to do in Melbourne. Hopefully this post gave you some ideas! People told me before I got to Melbourne that I would love it, and they were right. 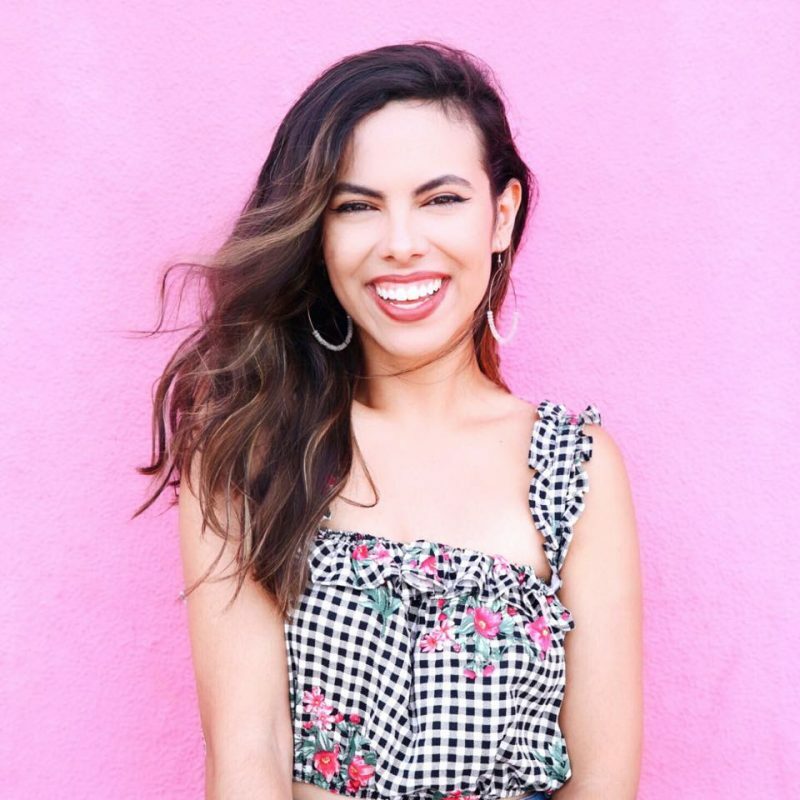 Next Post Coachella Guide and Tips: Is it Worth Going?